Gary Rodgers Plumbing Inc. | Jacksonville, FL | Home Gary Rodgers Plumbing Inc. 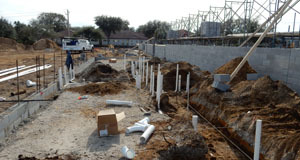 Receiving quality plumbing services in Jacksonville, Florida, does not have to be stressful. Since 1979, the team at Gary Rodgers Plumbing Inc. has specialized in new installations and remodel work for all commercial properties throughout the area. 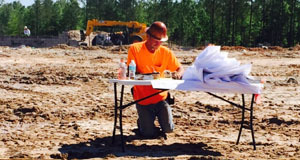 When you are looking for a reliable plumber in Jacksonville, let our professionals take care of your needs. At Gary Rodgers, you are more than just a number to us. Our second-generation business has been family owned since 1979. Each member of our team is dedicated to treating you with the respect that you deserve. From the moment you call us for help, you become a member of our family. With all of the companies on the market today, how can you be sure that you are receiving the best value for your investment? For more than 35 years, our staff members have proudly served clients throughout the area. While we specialize in work for grocery stores, we also are available to assist businesses across a range of industries. Our team is licensed in both Florida and Georgia. We are available to travel within a 3-hour radius of Jacksonville, including throughout Central Florida and Southern Georgia. Contact us today to speak with our plumbers in Jacksonville. 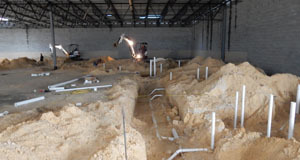 Our plumbing services in Jacksonville, Florida, are available to commercial and industrial clients throughout the region. Copyright © Gary Rodgers Plumbing Co. Inc. All rights reserved. All rights reserved.